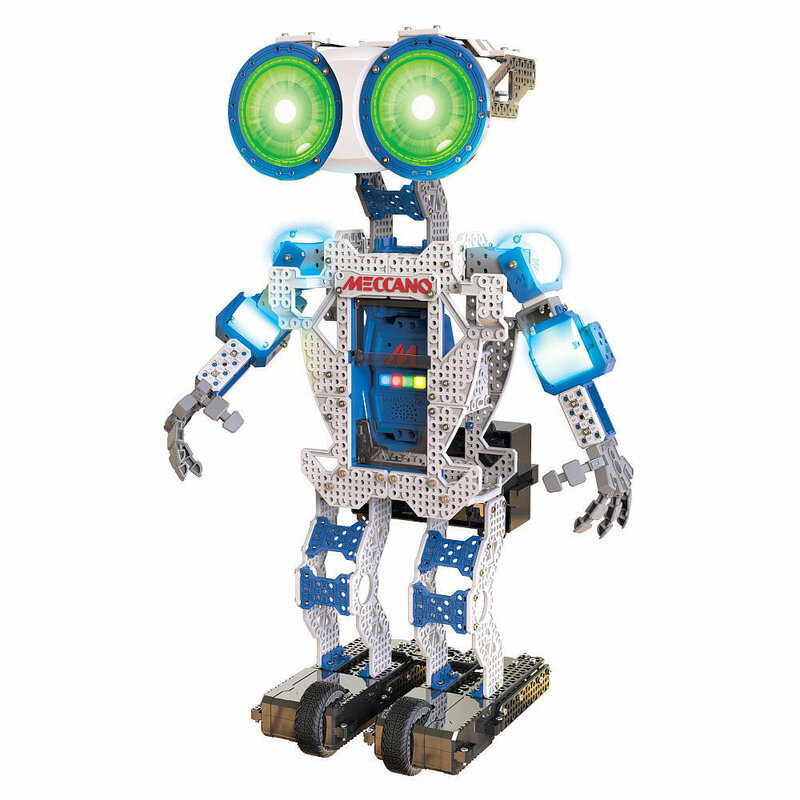 With the Meccano Meccanoid 2.0 497-Piece Robot Building Set, you can create and communicate with a personal robot! Using the real hand tools and plastic pieces, you will be able to build a 2' tall robo-buddy with multiple motors, which equip the robot with realistic movement. Then, you can connect a smart device to program three distinct modes, including Learned Intelligent Movement, Ragdoll Mode and Drag and Drop programming. Equipped with voice recognition, the Meccanoid 2.0 knows over 3,000 preprogrammed phrases and robot trivia and can even tell stories! How will you choose to play with your new best friend?